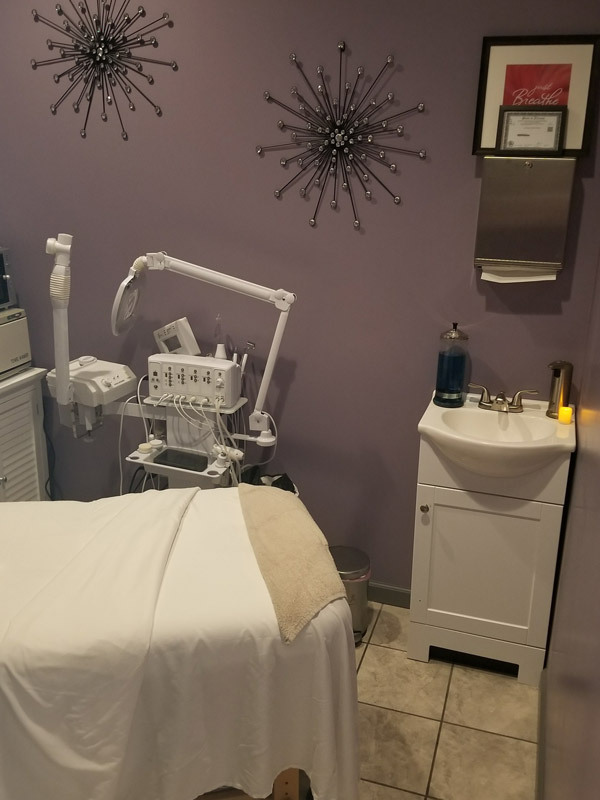 *All facials include skin analysis and extractions (upon esthetician advice) and an anti-aging massage that will leave your skin radiant. A customized facial, rich with the highest-grade botanicals to combat dull skin and renew skin’s vitality. A great little pick me up facial for the busy lifestyle. It fits into your lunch hour for a so much needed pampering during a hectic week. Includes steam, massage and custom mask. A great thirst-quenching facial for dehydrated, dry skin. Hyaluronic acid, neem extract, and peptides help restore hydration and minimize fine lines and wrinkles. Enjoy a luxurious brightening and moisture inductive modeling mask. This facial restores your skin’s youthful glow with a combination of a glycolic acid for a safe and effective exfoliation. Our Ultimate Antioxidant Cream with plant stem cells neutralize free radicals to minimize inflammation of the skin. Be ready to go for a night out! It is a facial... for the back! This treatment is great to resurface the skin of the back, treating skin blemishes and getting rid of unwanted dead skin build up. It will leave your back feeling nourished and polished. Effectively removes impurities and clarifies oily, blemish-prone skin. Salicylic acid breaks down oil while alpha hydroxy acids help refine skin texture. Extractions are modestly performed to only target non-inflammatory lesions while High frequency, heals existing breakouts and prevents future ones to form. * Series of 5 treatments $350.00. It’s a $50 dollars savings!! Talk to your esthetician during your facial if you want any of these services to be added. These under-eye pads are infused with Marine Collagen, Hyaluronic Acid, and Licorice Root Extract to plump fine lines and bring back life to the tired eye. Treatment is finished with a tightening eye cream and a special micro- lifting massage. A luxurious treatment that involves a gentle exfoliation of the lips followed by a 24 K Gold lip mask containing peptides, Gold Elements, and aloe vera to help redefine the lip area and reduce wrinkles. Increase rapid cell turn-over by adding this exfoliant to any facial. A synergistic blend of sugar cane and Bilberry extract. This serum is left on the skin to gently promote exfoliation and brightening of the skin. Enjoy a therapeutic set of warm hand mitts throughout your facial while a healing restorative cream penetrates deeply to relieve dry, cracked skin. This is a great alternative to add fullness and definition to your eyebrows and eyelashes. A variety of safe and customizable tints will add temporary (three weeks) color to the areas treated. A patch test is required 24 hrs. prior application.